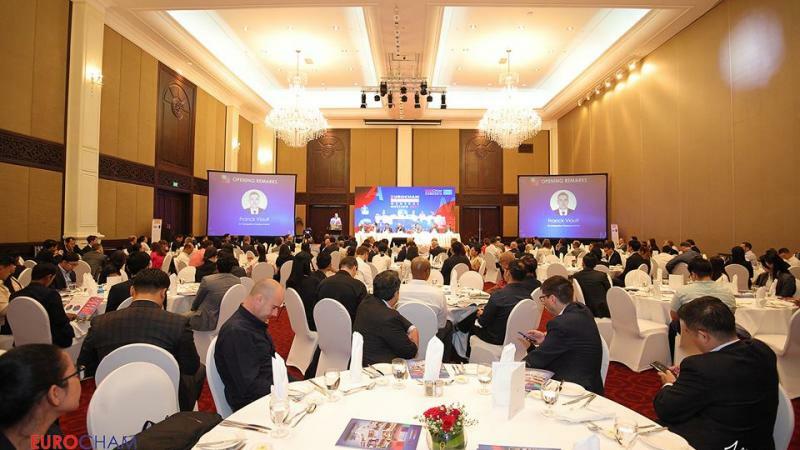 On 3 April 2019, EuroCham hosted its 2019 Annual General Meeting at Sofitel Phnom Penh Phokeethra. The AGM was preceded by an Extraordinary General Meeting and gathered 230 participants including 118 Ordinary Members (achieving our quorum set at 115 Members). Following the presentation of our yearly Activity Reports, Chapters Update and Audited Financial Report, two motions were adopted by our Members, the first relating to the optional registration to an additional National Chapter (Statutes Amendment) and the second, proposing an increase of the Membership Fee for 2020. 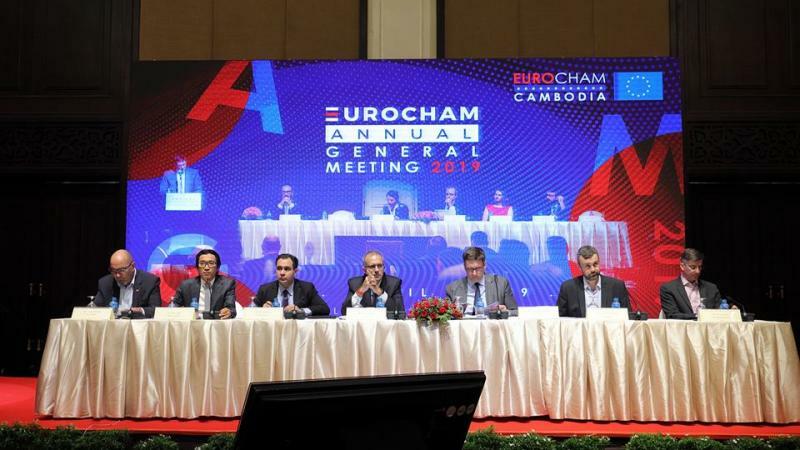 “Both New and Existing EuroCham Cambodia members may choose to join one (1) or more than one (1) National Chapter(s) of their choice subject to validation of the membership by the relevant National Chapter(s). 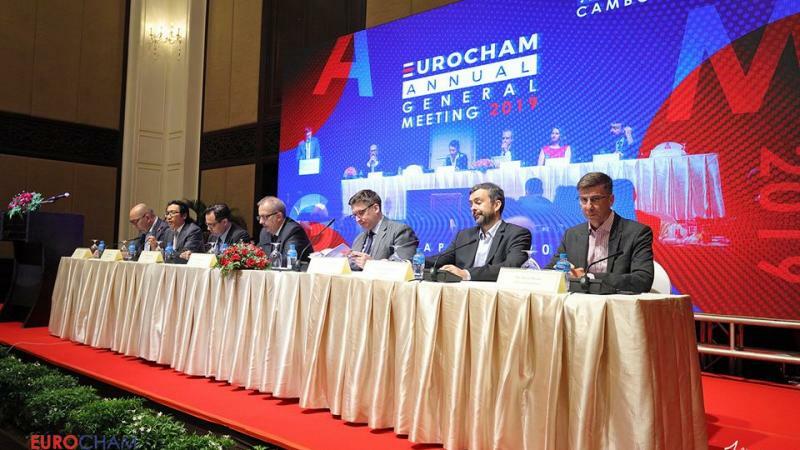 The EuroCham Team would once again like to thank everyone for making our 2019 AGM a success. We are privileged to serve our members and we look forward to continuing to work with you in the future. Event Recap: Breakfast Talk on "Plastic Waste Impact and its Solutions"